Today, many people are deciding to declare bankruptcy. With so many people being laid off, a lot of people are deciding to file for bankruptcy but you need to realize that it is not for everyone. There are other ways to pay off debt without going to such an extreme; indeed, an option that should be used only as a last resort. Before deciding to declare bankruptcy, the first thing that needs to be done is to make an appointment with a bankruptcy lawyer. Find out what type of bankruptcy they handle because there are two types and not all lawyers handle both types. Some bankruptcy lawyers will even give clients a free evaluation to see where they are financially. This free evaluation should be done in person, since that is far more effective than trying to do it over the phone. Sit down and talk to the lawyer, discuss your options. The lawyer is there to help the person who is in debt. Don’t be afraid to tell them your financial situation. The lawyer may have other options for you. Once the lawyer decides if it is necessary for you to declare bankruptcy, then he or she will tell you which type they think will be best for you. The lawyer will explain to the client how much their fees are to file. 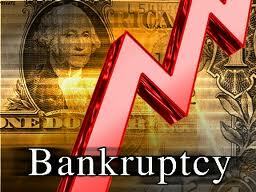 A Chapter Seven bankruptcy is when all debts are gone once the bankruptcy is filed. Chapter 13 bankruptcies require the debtor to pay the debt out in three to five years. Chapter Seven is the hardest only because the debtor needs to do many things before they can file. The lawyer will first fill out all of the paperwork with their client and list all of their debts. Fill out information on their debts online and pay the full amount of the bankruptcy. The lawyer will offer their clients ways to pay the bankruptcy fees. Bankruptcy fees can be paid each month, but if a debtor wants to hurry up and get the debts off of their backs, it may be beneficial to pay the lawyer as soon as possible. Also, the lawyer will not file the paperwork until all the fees are paid. So the bill collectors will still contact you until it is filed. Once the bankruptcy is filed, the debtor goes to court with their lawyer and the debts will be gone in no time. The client does not have to do any speaking during the court process. The lawyer does it all. A debtor may not need to declare bankruptcy when they don’t have enough debts. The lawyer will tell the debtor on settling any debts that they have. Contact each debtor and explain to them that you want to settle. Be firm with the amount that you can pay. The lawyer will explain to you that if the debt collector does not want to settle, don’t worry about the debt, especially if you don’t have property for them to seize. For more insights and additional information about things you should consider before you Declare Bankruptcy as well as being given the opportunity to get a free bankruptcy evaluation from a qualified bankruptcy lawyer in your local area, please visit our web site at http://www.bankruptcy-data.com. This entry was posted in Uncategorized and tagged 2923.5, 2923.5 2923.6 2924 2932.5 Audit bankruptcy california California cram down Chapter 13 civil code 2923.5 civil code 2924 Countrywide Cram down Cramdown criminal acts eviction FCRA FDCPA Federal Jurisdi, 2923.6, 2932.5, bankruptcy, civil code 2924, Countrywide, lis pendence, litigation, Mortgage modification, Predatory Lending, Real Estate Settlement Procedures Act, stop foreclosure, Uncategorized, United First, wrongful foreclosure. Bookmark the permalink. This blog is really amazing and provide me answers to all my questions. This is really informative and I will for sure refer my friends the same.Thanks for this informative blog.it will help me alot.